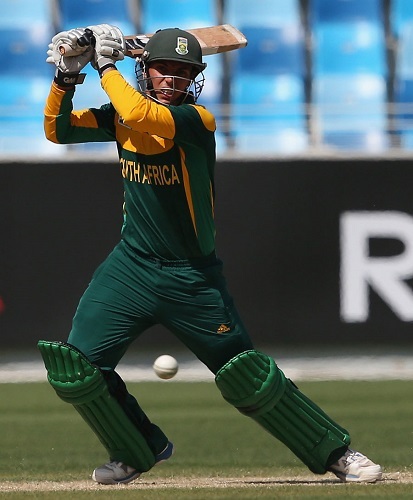 The Under 19 Proteas team have returned to South Africa victorious. The team, marshaled by Ray Jennings brilliantly, finally did what no other team has done in South African cricket history and that is winning a World Cup. Of course, they did not just win it, they won in a ruthless, yet methodical manner and finished the tournament undefeated. For some of the players, this will be the best it ever gets, but for many of the others they will join the likes of Chris Gayle, Graeme Smith, Eoin Morgan and Quinton de Kock in shining at the Under 19 and senior levels for their respective nations. 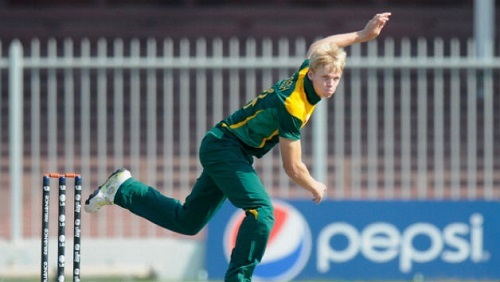 Jabu picks his Five Under 19 Proteas that he earmarks for senior success. Isn’t it appropriate that at a time when Graeme Smith, one of the finest captains in World cricket, is retiring that Aiden Markram shone in the same way as Biff. Markram was an inspirational leader who looked determined to make sure he dragged his team over the line as much as possible. A captain that leads by example, very much the Graeme Smith way. And what a fine example he set, 370 runs were scored at an incredible average of 123. He was the only batsmen in the tournament to pass the 100 mark twice, a player who thought he wouldn’t get picked became the first South African to lift a cricket world cup! His standout performance of the tournament was most definitely the half-century he scored against the West Indies in saving the day. He will obviously look fondly to his century against Canada as well, but the knock against the Windies was of such importance and was the kind of knock that commentator Jonty Rhodes used to produce for South Africa. The fantastic thing about Valli is that he offered a suitable degree of left arm spinning as a fifth bowler too and picked up 11 wickets in the tournament to underline his credentials as an all-rounder, something that is currently in short supply in SA Cricket. I found Justin to offer a similar type of bowling to Shaun Pollock and Glen McGrath. There was no searing pace, but rather relentless accuracy that troubled the batsmen consistently in the tournament. He offered little in terms of loose deliveries and produced two exceptional displays against Zimbabwe and Afghanistan. His economy rate of 3.5 in 42 overs is outstanding in limited overs cricket. He took South Africa by storm with his devastating bowling against Australia in the Semi-final. It was reminiscent of some of South Africa’s finest fast bowling spells in cricket. The tall Joburger managed to send balls down at speeds of 140+ and produce the kind of bounce that Morkel uses to trouble batsmen. He was not just a flash in the pan as his 14 wickets on turning pitches left him second in the wicket tacking list, but with a far superior average. Man this guy is exciting! He may not have stood out for many, but there is something about the way Bosch plays that just excites me as a fan. He is a skiddy fast medium bowler that never gave away too many runs while also chipping in with a wicket here and there. His display in the final was a joy to behold as he was never over-awed by the occasion, but rather excelled in it. His 4/15 was the pick of the performances in the final and his economy rate of 3.25 in 40 overs meant he often helped put a hold on the scoring. 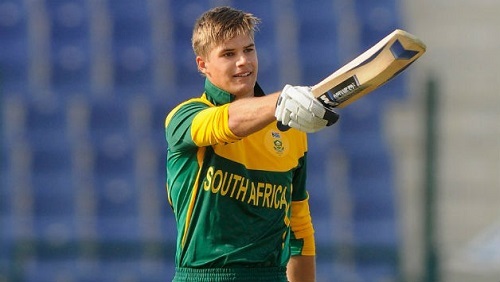 Who stood out for you in the successful campaign of the Under 19 Proteas? Whoever it was, they can be sure that we here in South Africa are immensely proud of them! I’d add Kirwin Christoffels to that list. Massive talent. Had a decent tournament, scored a couple half centuries batting at no.3. Also represented South Africa at junior level in hockey.